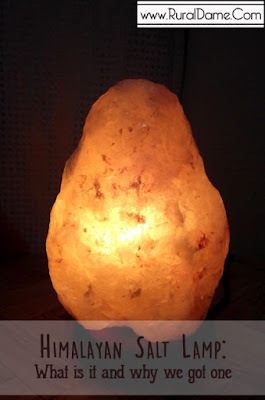 A salt lamp is said to generate negative ions, the ones that can neutralize positive ions created by electronic devices like computers, mobile phones, televisions and many others. These positive ions can trigger or cause health problems such as allergies and stress and may disrupt sleep. 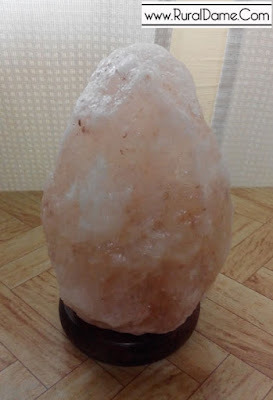 Salt, by its nature, is hygroscopic, meaning that it attracts water to its surface and this water evaporates quickly due to the small amount of heat from the light source (this is also why salt lamps tend to sweat and appear wet in humid climates). The number one reason we got one is due to my son's respiratory issues. During the first few months of his life, we've been dealing with cough, asthma attack and was hospitalized when he was only three months old because of pneumonia. 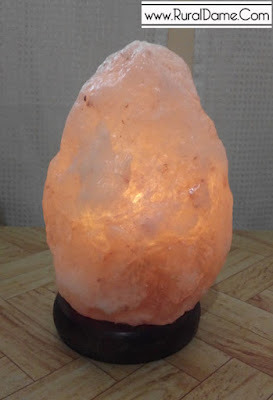 Since salt lamps cleanse and deodorize the air therefore reducing allergy and asthma symptoms, we are hopeful that by having one inside the bedroom where our son frequents will help lessen his cough and asthma attacks. Additionally, a salt lamp is also said to reduce electromagnetic radiation caused by electronic devices. This post from NaturalLivingIdeas.com explained these benefits better. 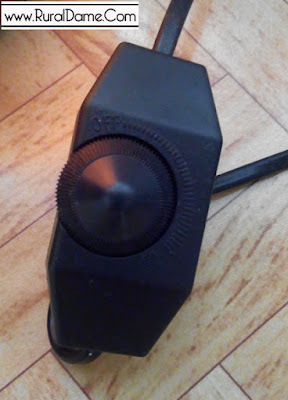 The lamps switch that also enables you to control the brightness/dimness of the lamp. We've been using the lamp for two weeks only so it's still too early to say whether or not it is effective. But as what I've said, I am hopeful! I will update this post in the months to come. To those who are interested, I got this through this group buying page for Php 1300 (2 - 3 kilograms). Bigger sizes are available too!